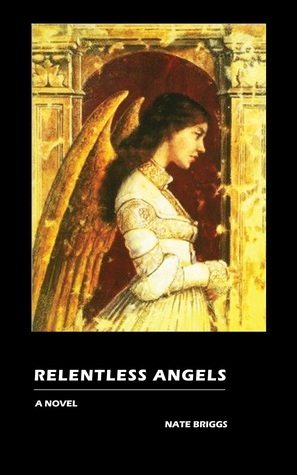 “Relentless Angels” is a coming-of-age story that explores three character-defining phases of Rebecca's life. Time and events are pieced together out of order, but chronologically, Rebecca's quest to find herself begins in Utopia, a small town in the American Midwest. She is a motherless and essentially fatherless teen who is sent there to live with her God-fearing aunt and uncle. Out of resentment and boredom, she secretly abandons "Bible Farm" at night. She finds more trouble than she intends, however, and the "eye for an eye" path she chooses doesn't end well. Then, as a last resort, Rebecca is carted off to the only relative who will take her, another uncle, a professor who lives in the English countryside. Education is what ultimately saves her from further self-destruction. And yet Baskerville Hall has its own dark secrets, and Rebecca, because of her past, can't ignore their calling. She does what she feels is necessary to right the wrongs, and then, years later, she earns professional success as a PhD astrophysicist. She isn't religious, but she is a moral person and she feels compelled to confess her sins before she can move on to a new chapter in her life. From a troubled youth to a successful scientist, Rebecca does overcome great odds. And by giving her a strong, honest, and unforgiving voice, Nate Briggs provides a well-crafted story that will make you think, feel, and question the social norms that so many of us accept as gospel. As close to the Great American Novel as any book during the last five years. Nate Briggs - I guess my glasses were on top of my head the whole time.